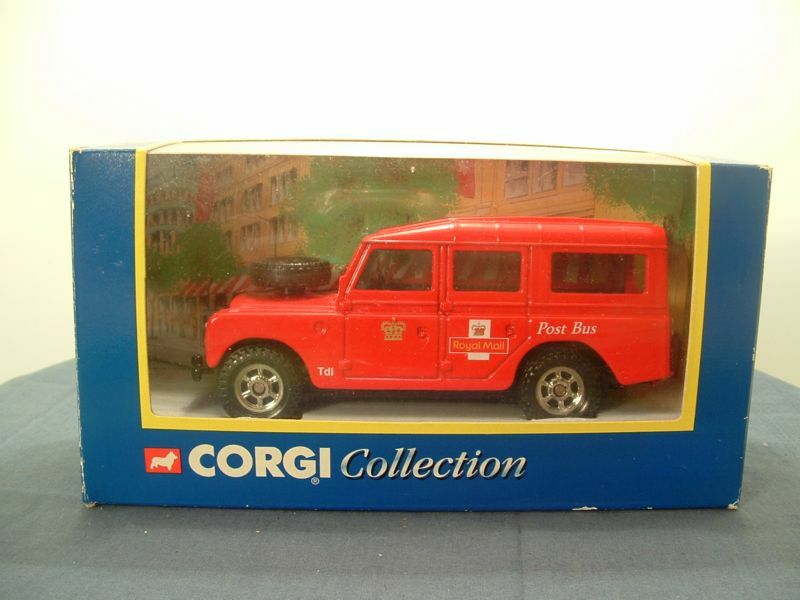 This model is the Corgi 57902 Land Rover in red. This model was released as a Royal Mail Post bus and was packed in the normal Corgi box of the period. 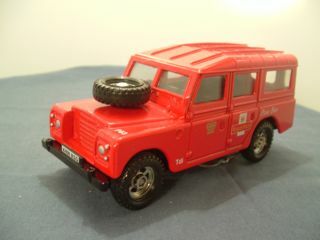 This model has a fixed bonnet with spare tyre mounted on it, front and rear side doors but has an opening rear door at the back. 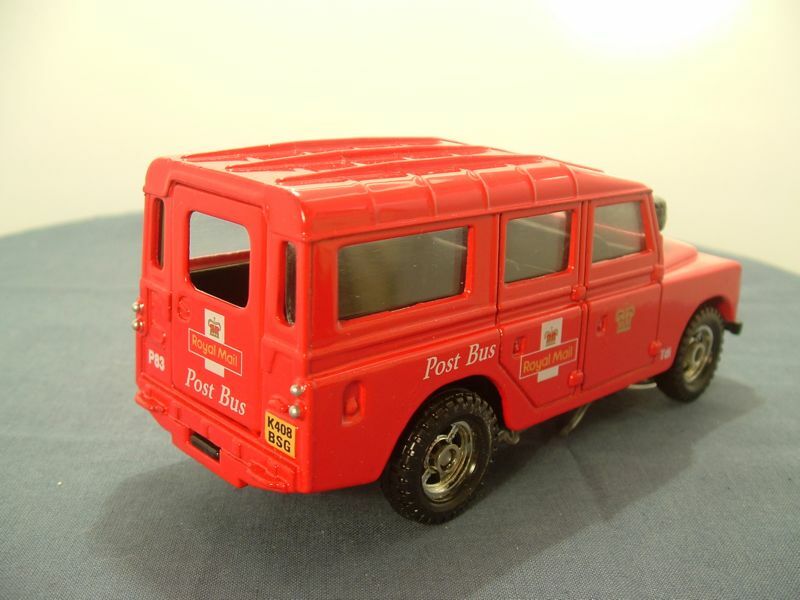 The front has a black painted bumper and numberplate [K408 BSG] that are part of the baseplate. Two silver domes represent the molded headlights. 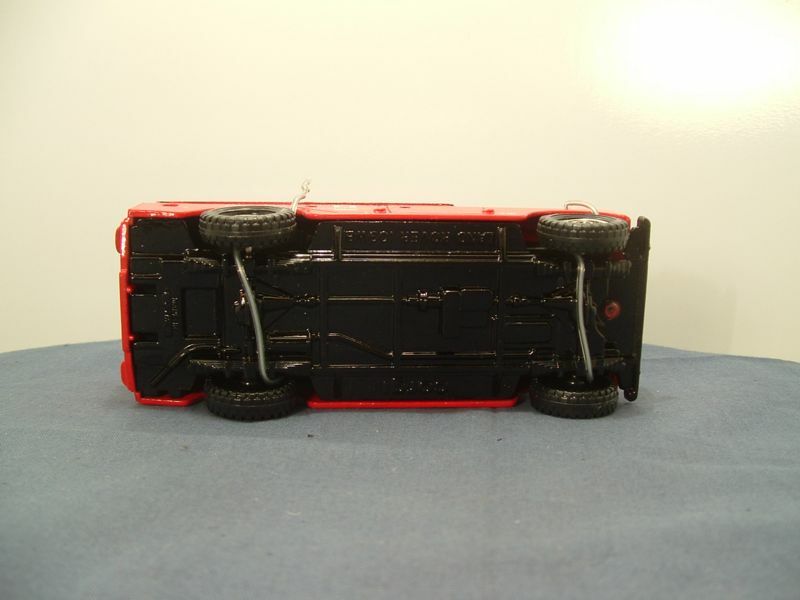 All wheels are single piece units with a central chrome 6 spoke hub and a black tyre. The base plate is black painted metal and is marked with "corgi" in the centre top and "Land Rover 109WB" at the centre bottom and Made in China at the rear, behind the rear axle housing. It is held in place with a single front rivet and a rear locator plug. 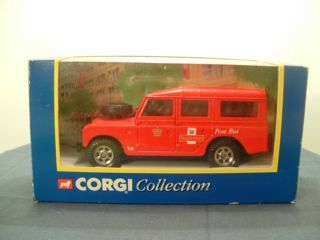 This model was issued at some time after April 1996 which was the release date for the 57901 Land Rover model that preceded it. NOTE: The two silver bands shown in the last photo are the straps used to hold the item in place inside its packaging.